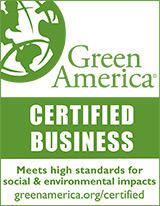 Vegan mattresses are constructed with the same exacting standards as our traditional natural and organic material mattresses. The difference is that we do not use any animal products. 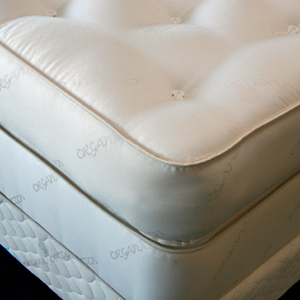 Vegan mattress are constructed with layers of organic cotton batting, either quilted or tufted to an Organic Cotton cover. You can choose the Dream innersrpring, Dream Plush II hybrid or the Harmony latex mattresses. Healthy and safe sleep are now within your reach without the use of any animal products. Prescription or prescription form must accompany the order. Call or email with your questions. 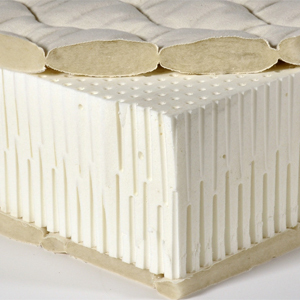 This unique mattress is constructed around our sturdy Bonnell style coil innerspring generously covered in a quilting of 100% organic cotton. Offered in Extra Firm and Firm. 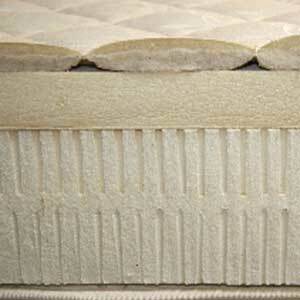 The Dream Vegan mattress has layers of organic cotton batting inner-tufted and outer-tufted to an Organic Cotton cover. Healthy and safe sleep are now within your reach without the use of any animal products. A prescription or use our Prescription Mattress Form must accompany the order.